Women who want younger-looking skin have a new helping hand. Radiesse, originally a volumizing filler for the face, has recently been approved as the first injectable for hand rejuvenation/augmentation by the FDA. Double board-certified Manhattan plastic surgeon and general surgeon Richard W. Swift, Jr., M.D., F.A.C.S., is proud to be one of the first doctors in NYC to provide this service. 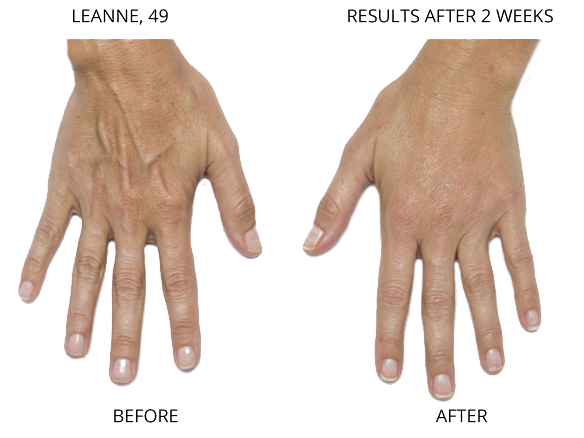 Radiesse® is a product for the hands to give them a youthful and beautiful appearance. It restores aging skin on the hands to its previous glowing state, before problems such as sun damage, skin laxity, and volume loss rendered them tired and lifeless. 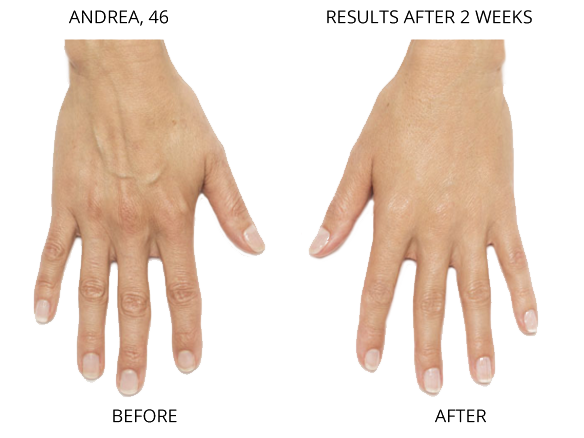 Radiesse® is a new injection treatment for the hands, having only previously been used to lift and rejuvenate the face. It sculpts and plumps the tissue under the skin, giving it more structure and a better aesthetic. 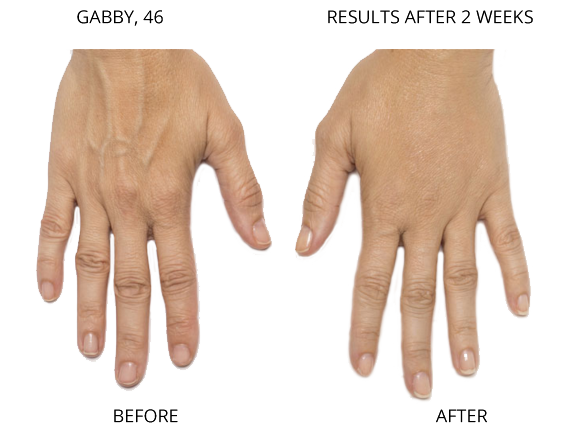 Radiesse® is now being used to make hands look smoother and more youthful. Radiesse® contains phosphate and calcium ions, both of which are naturally found in bones. The Radiesse® hand lift treatment stimulates your own collagen production to improve lost volume and transform weary-looking hands. 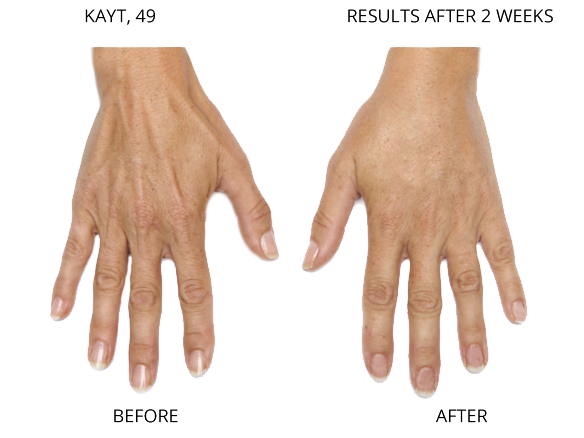 How Long Does Radiesse® for Hand Rejuvenation Last? 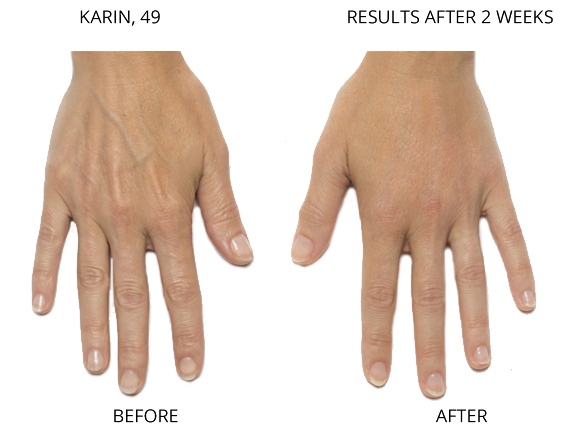 Radiesse® can give you beautiful, soft, and younger-looking hands for longer than you might think. After your Radiesse® injection, you can expect your own collagen production to work for your benefit, on your hands, for up to one year. 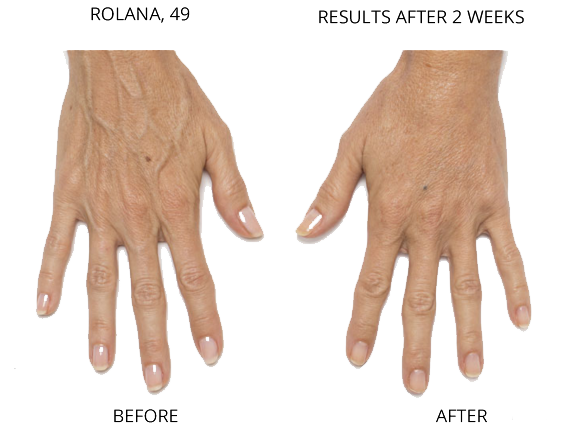 Is Radiesse® for Hand Rejuvenation Right for You? If you’re interested in improving the appearance of your hands and obtaining a long-lasting youthful look, consult with Dr. Swift to see if Radiesse® is right for you. Dr. Swift will provide you with an examination of your hands and talk to you about your goals so that he can help you put together a plan that may include Radiesse®. Does a Radiesse® for Hand Rejuvenation Treatment Hurt? It is possible to undergo a Radiesse® hand lift treatment without pain. Dr. Swift uses a topical numbing agent, when necessary, to make the procedure as pain-free as possible. Radiesse® is mixed with lidocaine, which typically decreases injection discomfort. How Much Does Radiesse® for Hand Rejuvenation Cost? The cost of a Radiesse® hand lift varies from person to person, depending on the patient’s ultimate goals. Dr. Swift’s Manhattan, NYC plastic surgery office does try to make the procedure easy on a budget by accepting payment via cash, check, or credit card, as well as Prosper Healthcare Lending as a financing option. To begin transforming your hands into a younger-looking version of themselves, contact Dr. Swift’s Manhattan, NYC plastic surgery office today to discuss the Radiesse® for hand rejuvenation, which will make your hands youthful and radiant once again.